Mind is the largest mental health charity in the UK, operating across England and Wales. Mind provides information, guidance and support to empower anyone experiencing a mental health problem. This includes working in close partnership with the construction industry to provide support to employers and employees by providing information, insight, guidance and training. 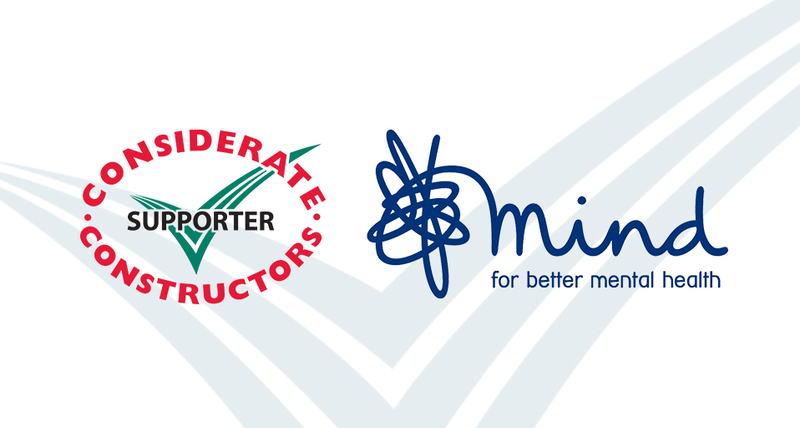 It has been fantastic to see the construction industry taking proactive steps to raise awareness and promote positive mental health and wellbeing and I am pleased that Mind has been able to support the industry on this journey. We know that there is more to do and we are excited to be working in partnership with Considerate Constructors Scheme to continue providing support to employers and employees across the construction industry. Scheme Supporters work alongside the Scheme to promote best practice across all sectors of the industry. Scheme Supporters appreciate the impact that the Considerate Constructors Scheme has on UK and Irish construction and the benefits of registration, and encourage all those working within construction to support this valuable initiative. Read more about Scheme Supporters here.